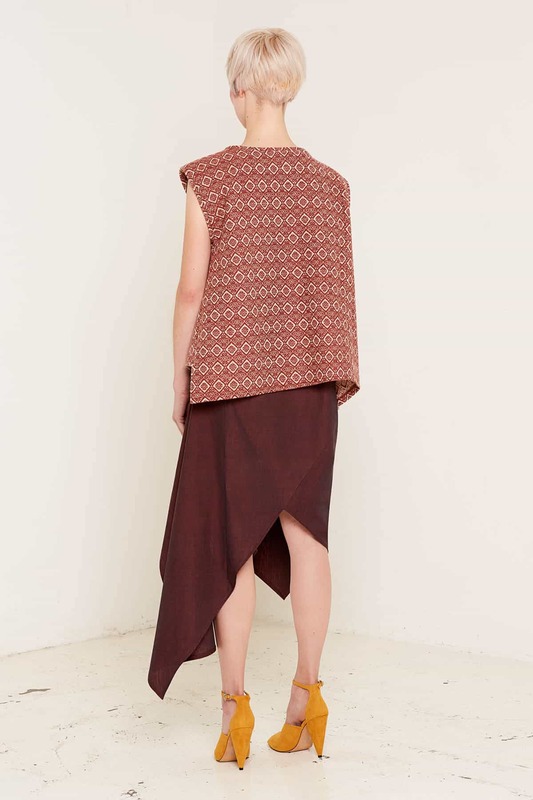 The asymmetric hem and strong shoulder of the Jane top create an interesting, contemporary shape. The top has a bold outline and a beautiful pattern print, wide round neck, and elegant flared cap sleeves. 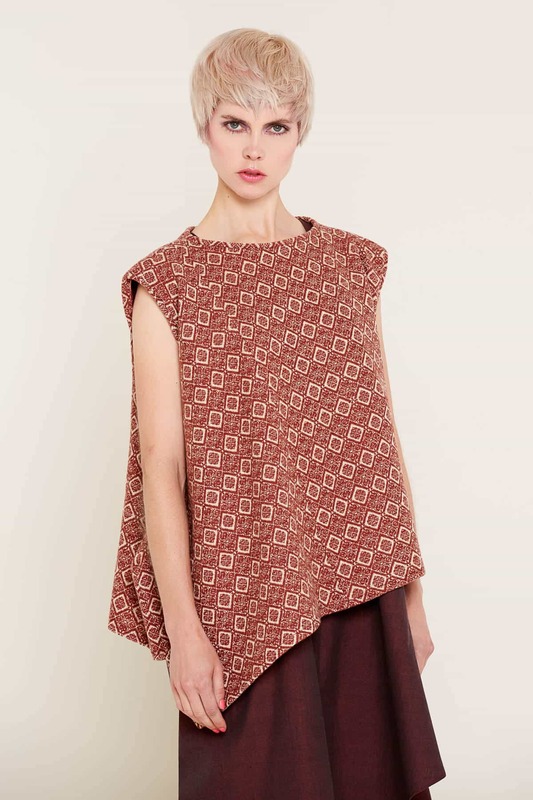 This top is available in either mustard or rust colours, both of which make the most of its gorgeous print. It looks great when paired with plain, textured fabrics, which will really emphasise the top’s striking print and asymmetric lines. 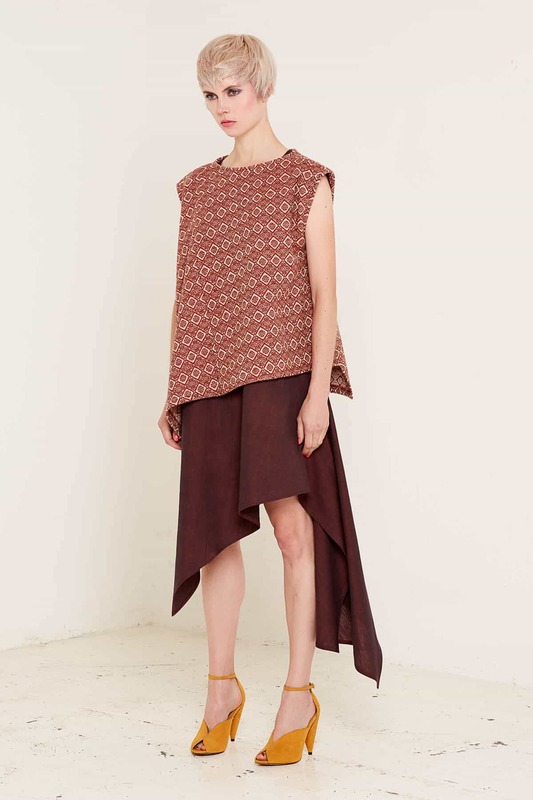 The mustard colour goes well with more neutral tones, while pairing the rust top with a deep burgundy skirt will make its pattern really stand out. The Jane top is made using roll end fabric, material that would have otherwise gone to waste, helping to keep fashion sustainable.